Modern cosmetic dentistry allows us to improve your smile with quick, painless and affordable treatments. 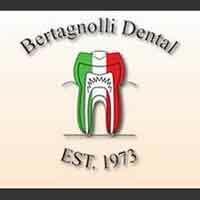 At Bertagnolli Dental we want you to have a beautiful smile. If you are looking for a cosmetic dentist in Westminster we have what you are looking for. As a cosmetic dentist, our commitment to our patients includes providing information that helps them to make more informed decisions about their dental care. We understand how important a healthy, bright smile is to your confidence. Our standard of excellence helps us to provide comprehensive treatment using restorative and cosmetic dentistry to achieve the optimal smile. We understand that a visit to the dentist can make you uneasy. Our staff is dedicated to providing personalized care and service to make each visit as comfortable as possible. When it’s time to find a cosmetic dentist in Westminster, contact our office to schedule your appointment today.